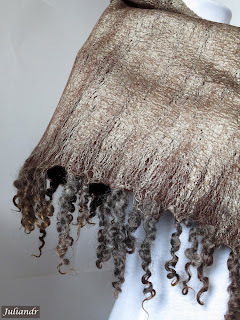 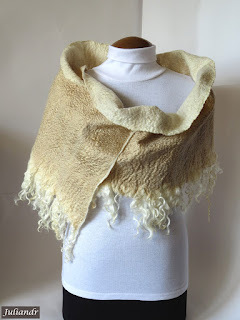 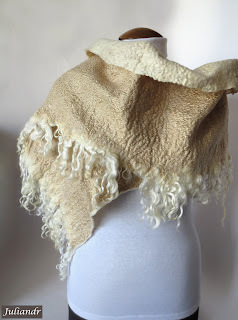 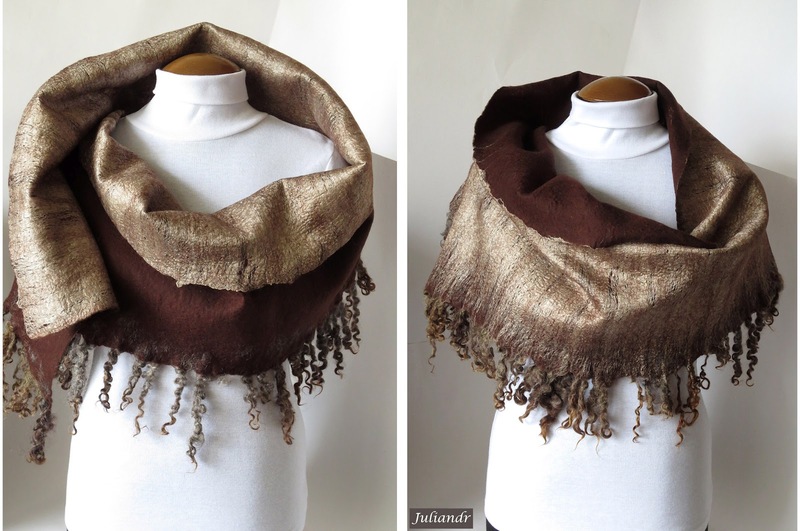 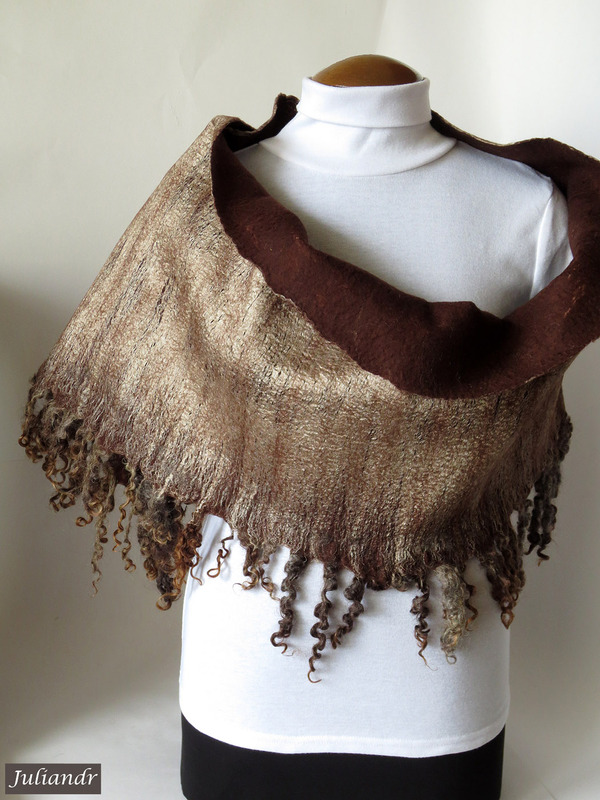 Here come some new pieces -- nunofelted shawls with wonderful texture combinations and a fringe of cute curly fleece locks. They both are double sided, one side is velvety and warm, another's silk and glossy. 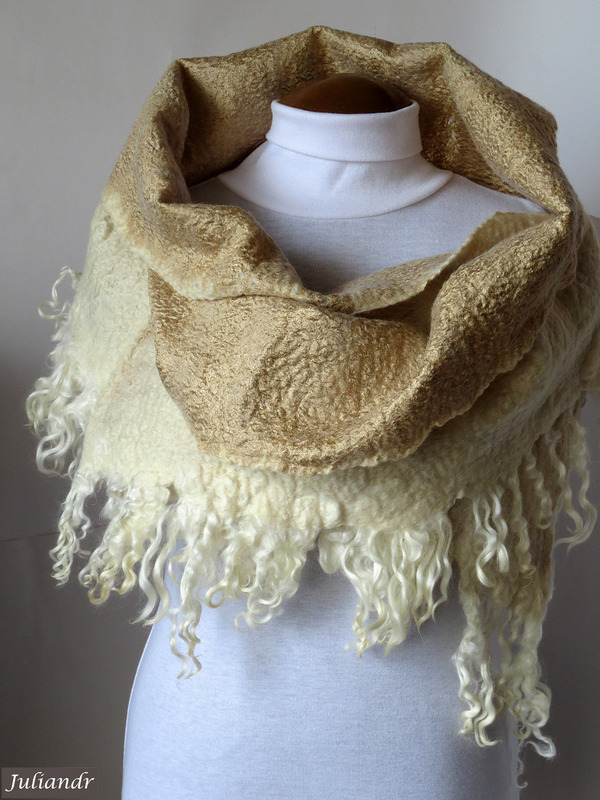 This one is ivory and golden, with crispy white fleece. Extremely airy and lightweight, very delicate.. Measures 158x33 cm ---> 62,2"x12,9". 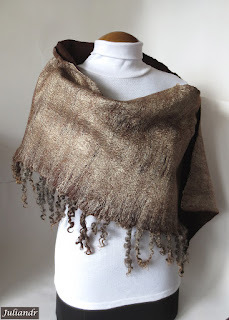 This wrap is chocolate and oatmeal. 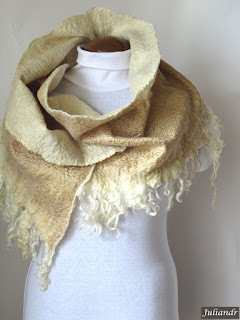 It's more thick than the previous one, hence warmer, but still very soft and easy to drape. Measures 160x35 cm ---> 62,9"x13,7".